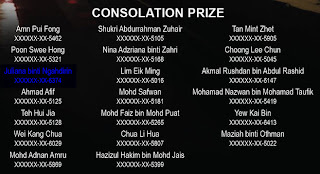 Syukur alhamdulillah, bila keputusan akhir diumumkan pada jam 10.00 malam tadi logo Mia mendapat tempat ke 3 dalam Consolation Prize dengan undian sebanyak 555. Petang tadi selepas habis exam, Mia ada terima panggilan dari MRT Logo Contest untuk sesi interview di atas talian. Macam-macam yang ditanya, Mia jawab semua. Jom tengok petikan emel dari MRT Logo Contest. 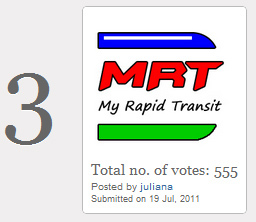 zasss..
Firstly, thank you for participating in the MRT Logo Contest. Congratulations on being the Consolation Prize winner of the MRT Logo Contest! Upon consolidation of entries, we have found that your winning logo accumulated the highest number of votes at a total of 555 votes. The Organisers are greatly pleased with the response to the contest based on the number of contenders and votes. 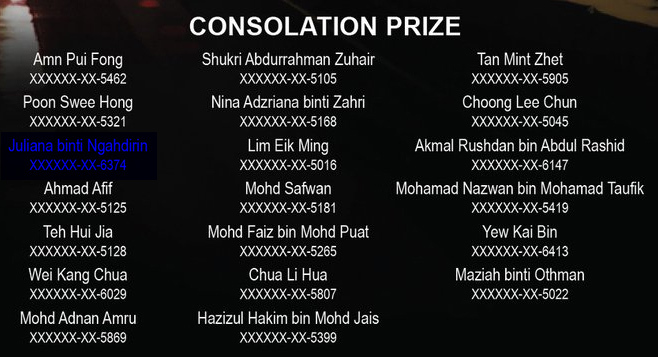 With that, we would like express our sincere gratitude for contributing to the success of the contest. Since the contest was first launched on the 3rd of August, we have received an average of 250 logo submissions daily, totalling the logo submission at over 9300 with a total number of votes cast at over 81,000. We would like to thank you for putting in the effort to participate in the MRT Logo Contest. We value your support, and your contribution to us is immeasurable. Once again, thank you for participating and we look forward to meeting you. We hope for your continuous support towards the MRT movement, and in our effort to improve land public transport in Malaysia. Mia ingin mengucapkan ribuan terima kasih semua pengundi-pengundi di luar sana yang telah mengundi Mia untuk contest ini. Jasamu akan dikenang. Tidak lupa juga ucapan syabas kepada pihak penganjur yang bertungkus-lumus untuk menjayakan contest ini. 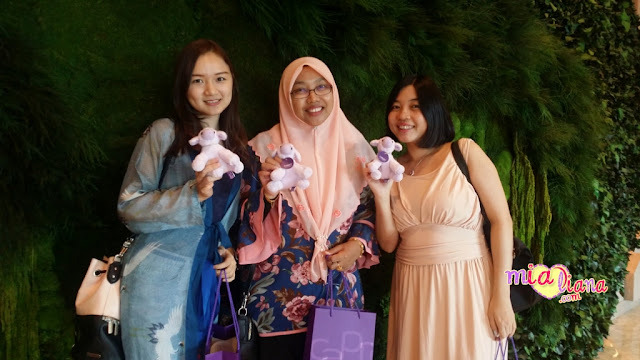 Kepada peserta contest yang berjaya, jumpa kita di sanaaaa! Tahniah !!! my dear, U R the best. tahniah kak. walau tak dapat juara. u still get the price & luck its third:) happy to see you!